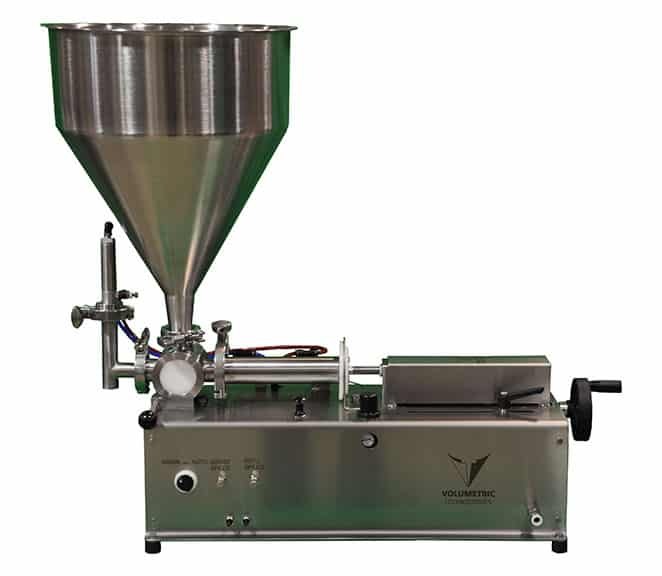 Volumetric Technologies Bench Top Piston Filler / Depositors are ideal for start-up companies, lab applications, bakeries, commissaries and other production environments. Our Bench Top Fillers are routinely used to fill liquids, gels, fruit fillings, cream fillings, salsas, hummus, BBQ sauce, salad dressings, sauces, soaps, shampoos, personal care products, dips or spreads, essential oils, and many others. There are numerous dispensing nozzle options to choose from for filling liquids and slurry products, and a host of options for the bakery industry for injecting doughnuts with fillings, applying rosettes or icing decorations onto pies, cakes or cupcakes with our hand held nozzles. Small size for portability – it’s just 45 lbs.